Hi everyone, Stephanie here today with my Washi Tape layout. I love finding new ways to incorporate it into my craft projects and layouts are no exception, hope you like the one I have for you today. Have you ever made a layout, gotten all the way to the title then hit a wall? Perhaps because you don't like any of the stickers or fonts you have, or they simply just don't match?? Well then this wash tape trick is for you! I had the design for this layout in mind and got right to work cutting everything and sizing things up. This layout came together quickly and I was in such a zone that I didn't really think it through too much and just went with it. Not that flying by the seat of my pants is really different for me anyways, it's just how I scrap. It came time for me to add my title and then it hit me that I was stuck. I had used the Chipppers for the main part of my title but they just didn't look right underneath of it and nothing else I had really matched. Then it hit me...washi tape! This trick was pretty easy, I just covered the part of my paper I was going to be cutting with matching tapes and then ran it through my silhouette. Done! I had my finish touch of a matching word! So next time you are stuck on the fly and need that perfect piece break out your washi stash and put it to work for you! Great layout Stephanie! Love the title!! 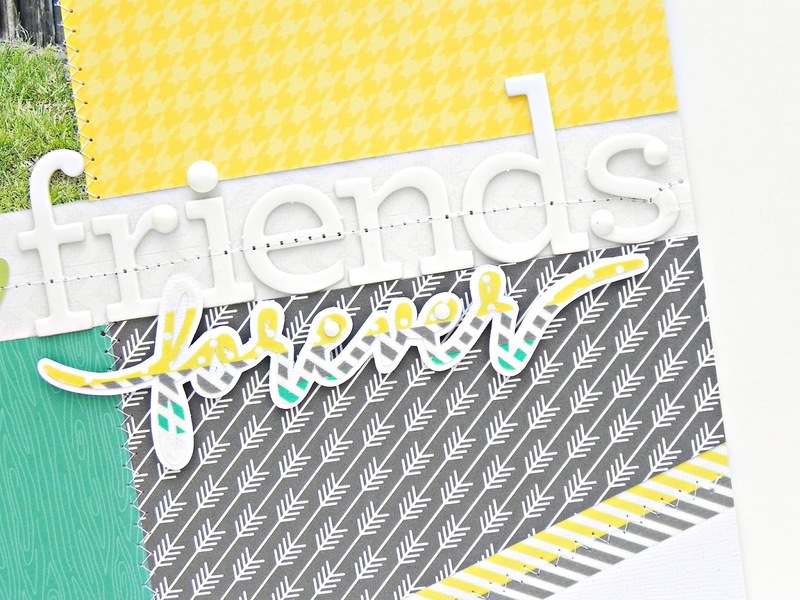 ABSOLUTELY FABULOUS layout Stephanie - LOVE IT ALL!!! The colors on this are amazing and wow!!! do you know how to use washi tape!!! Cool layout and I really love the mix of colors and patterns you added to this!! !